Mangrum Air Conditioning, Inc. is proud to serve the Stephenville community! 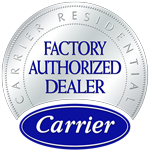 About Stephenville, TX - Happy to be your hometown Heating & Air Conditioning Contractor! 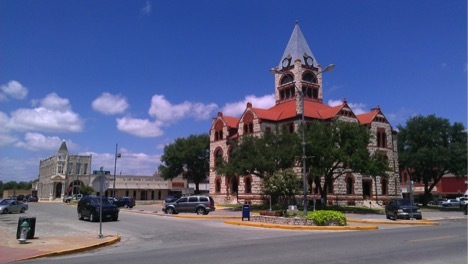 Stephenville is the county seat of Erath County, Texas, and this city is home to approximately 19,300 residents. The community was incorporated in 1889 when the Fort Worth & Rio Grande Railway arrived in the area. Stephenville is known as the “Cowboy Capital of the World” and is even home to world champion professional rodeo star Ty Murray. Tarleton State University is located in the city, and about 12,300 graduate and undergraduate students complete courses at this university each year. Agriculture is Stephenville’s primary industry, as Erath County is the leading milk producer in all of Texas. Despite being known as a college town, there are a few notable attractions located in Stephenville. Cinemark Cinema 6 is a great place to check out one of Hollywood’s new releases, and history buffs might like to visit the Stephenville Historical House Museum. Visitors coming to the area may enjoy camping at Hoof Prints Ranch, and outdoor enthusiasts might enjoy taking a trail ride at the Hideaway Ranch Horseback Riding. Stephenville is also home to some great restaurants that residents, visitors, and college students can all enjoy, including Greer’s Ranch Café, Big O’s Gyros, and Grump’s Burgers. The central region of Texas, including Stephenville, has some of the hottest summer months in the United States. Temperatures reach an average of 95 degrees in July, which is the hottest month of the year, and lows will remain in the mid-70s. The area is also susceptible to super cell storms which can produce tornados and large hail, so it is crucial that residents stay safe with an energy efficient air conditioning system. Despite the hot summer months, residents will still need to have a home heating system in place and have it serviced periodically by an HVAC technician. January is the coldest month of the year, and while average highs will reach the mid-50s, overnight lows can fall below the freezing point. The right furnace or heat pump will keep home interiors comfortable while ensuring that utility costs stay affordable.